A proverbial “world tour” wine tasting!!! 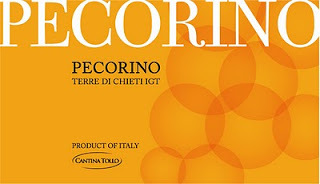 Cantina Tollo, Pecorino Terre di Chieti – Pecorino is a rare white varietal that possess the body similar to Viognier but with tropical fruit flavors. The vineyards were previously used for sheep herding – hence the name. Pecorino is a light-skinned wine grape used in Italy’s eastern coastal regions, particularly in Marche and Abruzzo. A classic Pecorino-based wine is dry and minerally, straw-yellow in color and has an elegantly floral bouquet of acacia and jasmine, sometimes spiced with a faint hint of licorice. Kevin’s Notes: This is a terrific white wine for the price – its real gift! Why? Well, the normal retail price for this wine is about $22.99, but it is not well known by 99% of the consumers and very few wholesale reps know how to sell it so here it is on inventory reduction. We bought all they had because WE DO know what this wine represents! 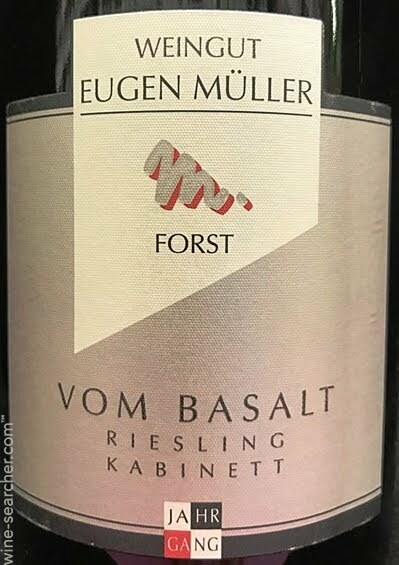 Eugen Muller Vom Basalt Pflaz, Germany Kabinett Riesling 2016 – This estate was initially established in 1767 as a cooperage and in 1935 the winery began producing wines of their own. Kurt Müller and his son Stephan are the 3rd generation to run the estate. Stephan joined the family business in 2000 after completing his studies in viniculture at Geisenheim. The specialties of the estate are the racy, aromatic and elegant Riesling Basalt is the famous soil of the Pechstein, from which this wine hails, but it’s bottled under the name of a small privileged Grosslage because it’s the wine Müller’s customers recognize. In terms of both quality and quantity, Pfalz is one of Germany’s most important regions, and one which shows great promise for the future. An increasing proportion of Germany’s finest Riesling and Pinot Noir (Spätburgunder) come from Pfalz vineyards n terms of both quality and quantity. Kevin’s Note; Since this is a Kabinett, it is considered an off-dry style of Riesling it is NOT very sweet, but it is FRUIT DRIVEN with a dry finish – it’s a BLAST! Regular $19.99 Now $16.99 Limited Qty!!! 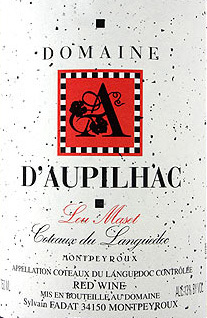 Domaine d’Aupilhac, Lou Maset – Three generations of Fadats have farmed the large, 45 acres in Aupilhac. While the Fadats have farmed this land since the nineteenth century, and the vineyards date even farther back to the time of the Romans, it was not until 1989 that the current member of the Fadat family, Sylvain, finally registered the domaine. The soils are rich in prehistoric oyster fossils, which lend an incredible length and minerality to the wines. Sylvain is not one to shy away from hard work. In a volcanic amphitheatre comprised of marine fossils and raw limestone. Sylvain has also elected to have his fruit certified as organic in Europe, a mandatory three-year conversion process. For him, this is a choice both of conscience and pragmatism. This wine is a blend of Grenache, Cinsault, Mourvedre, and Carignan. Kevin’s Notes: This is the star of the show. It is made from Tinto Fino. Tinto Fino is the same as Tempranillo, but this is what they call it in Ribera del Duero. Remember that the next time you read a wine list! More Wine Education: Vinas Viejas means “Old Vines”. This is also another wine from Jose Pastor Imports a big favorite of mine. This wine as DEEP purple with gorgeous dark fruit and subtle licorice backed with a touch of acidity. This is as natural as it gets. No…So2 is added. This wine is way too cool!!! Taste some wine with an industry professional!!! This weekend, Cooper is hosting industry professional, Stephanie Schlis! 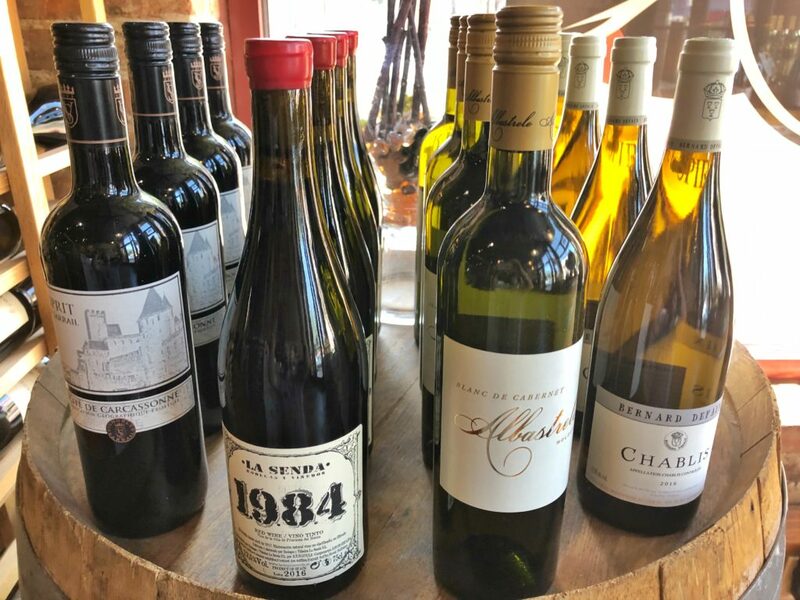 Since we met her a short time ago, she has been a wonderful consultant for us, bringing in some wines to taste that showed incredible value for the $, and just all around great selections. Her palate is incredibly defined, especially for someone her age, and she is a very motivated and information-oriented rep. Exactly what we look for here at Cooper! Thanks Stephanie for all your hard work and dedication to the craft, and for helping Cooper to have the best selection possible at the best prices! Ares de Medeiros Portuguese White – At the vineyards of Herdade de Medeiros (Land of Medeiros) in the south region of Portugal, the typical prairie-like landscapes is “interrupted” by a large, beautiful lake. Year round this lake is inhabited by a large number of birds, both resident and migratory. Ares de Medeiros represents those migratory birds that annually pass through this estate. This wine was produced from our own hand-picked Arinto, Viognier, and Verdelho grape varieties. Distinct color with tones of green on gold, and exuberant citric aromas. The rich fruit pallet and balanced acidity completes this fine and elegant wine. Domaine de la Mordoree Rose 2017 – The Mordorée is the poetic nickname used locally for the woodcock that flies over our lands during its migrations. Ideally located at the crossroads of Provence and Languedoc, the Domaine de la Mordorée produces some of the finest wines in the Rhone Valley. They own manage and control vineyards in: Châteauneuf du Pape, Lirac, and Tavel.”Our philosophy has always been to produce the greatest wines possible. To achieve this goal we have selected the best parcels of land, the highest grade grapes and developed environmental friendly wine growing methods. The vinification and maturation of our wines combine both tradition and modernity”. Illahe Vineyards Estate Willamette Valley Pinot Noir 2016 – Illahe is a Chinook Jargon word meaning “earth,” “land,” or “soil.” We feel this reflects both our location in Oregon, as well as our desire to craft wines which express the variety of soils on our beautiful 80 acre estate. Illahe Vineyards was established in 2000 by Lowell Ford, grower of Oregon grapes since 1983.Illahe is a LIVE-certified, Salmon Safe vineyard. We use cover crops on the entire vineyard. We are part of Oregon’s Deep Roots Coalition, and as such do not irrigate mature plants. We do extensive green pruning and conduct plant topping. We prune by hand and harvest by hand. We use sulfur spray to control for powdery mildew and botrytis. We aim for balanced production and optimal ripeness. This includes a program of no irrigation, leaf pulling to decrease shade, and dropping green clusters after veraison. One of our goals at Illahe is to reduce the use of fossil fuels throughout the year. We have solar panels and we use our horses, Doc and Bea, to mow and to bring grapes to the winery at harvest. 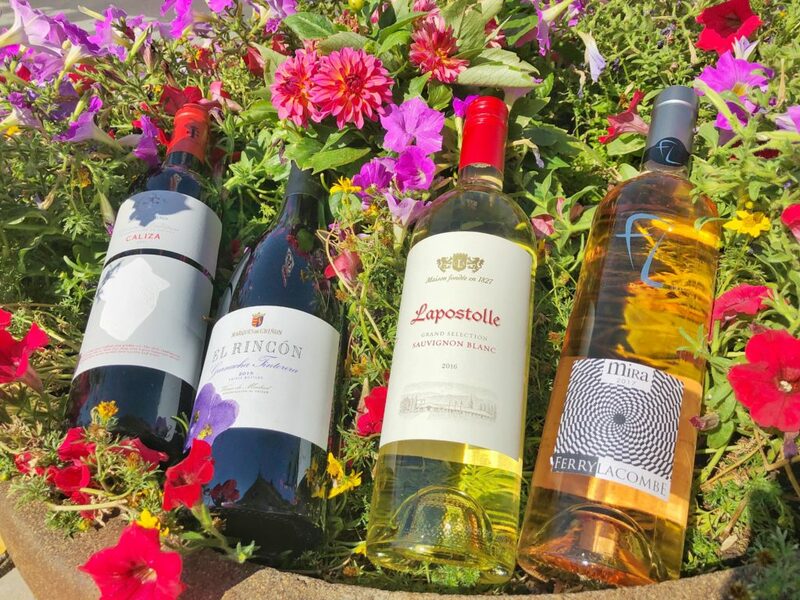 4 beautiful wines for a beautiful weekend!!! 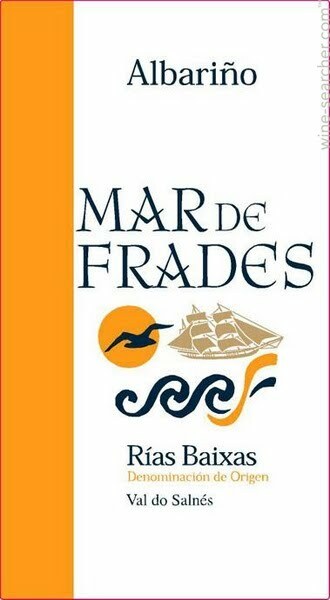 Mar de Frades Albarino – Mar de Frades is a Galacian phrase for “Sea of the Friars. The Rias Baixas D.O. is located in Galicia, in the verdant Northwestern part of Spain, overlooking the Atlantic Ocean. Albarino is the finest grape variety in Rias Baixas and accounts for 90% of all the vineyards. Mar de Frades is 100% Albarino from Val do Salnes, Rias Baixas best sub-appellation. Artisanally grown and made, only hand-picked and hand-sorted fruit is used. Made from 100% free run juice, Mar de Frades is the “best of the best. Mar de Frades is cold-fermented in temperature-controlled stainless steel tanks. Kevin’s Notes: Yes, you’re reading this correctly – SAVE $11.00. This is an outstanding find from a wholesaler’s inventory reduction sale. It’s a terrific buy, and when it’d gone, it is gone! 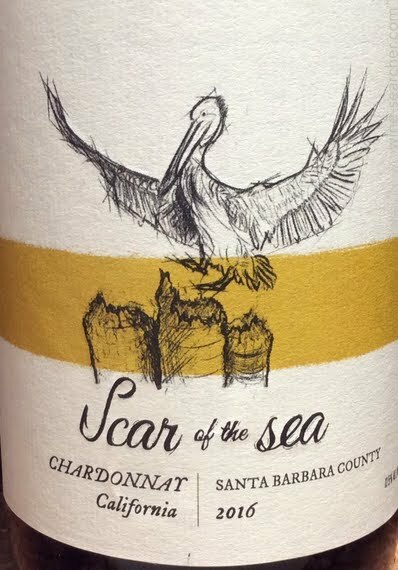 Scar of the Sea Santa Barbara County Chardonnay 2016 – This Santa Barbara County Chardonnay is composed of 3 vineyards from Santa Maria Valley to Los Alamos. All of our Chardonnay was picked separately with grapes arriving to the winery early in the morning. After whole cluster pressing and cold settling the wine was racked to barrel where it was fermented with native yeast and aged for 8 months in 10 % New French Oak. Aromas of fresh guava coupled with citrus blossom are followed by oyster shell, lemon zest and white peach on the palate. This wine showcases vibrant acidity, a testament to Chardonnay from the cool climates of Santa Barbara County. Kevin’s Notes: In the fall of 2017, Sharon and I were invited to a wonderful tour of Central Coast California’s wine region. While on the tour of the vineyards and facilities of Scar of the Sea we realized quickly the dedication owners Mike and Mikey carry towards making some of the finest wines in the world. This Chardonnay is their entry level Chardonnay. Its taste profile represents most wineries top level Chardonnay! 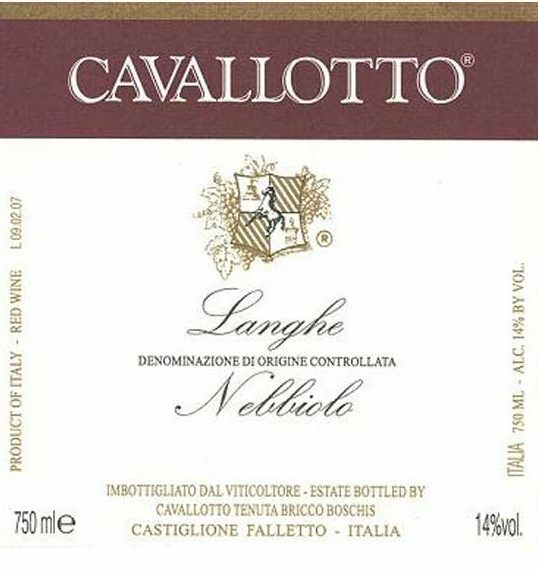 Cavallotto Bricco Langhe Nebbiolo 2015 – The Cavallotto family claims sole ownership of the beautiful Bricco Boschis cru in the Castiglione Falletto district (also home to Azelia), where they have been growing Nebbiolo since 1929 and bottling their own wine since 1948. These richly structured wines place emphasis on elegance and longevity, attributable to excellent vineyards in the Bricco Boschis and Vignolo crus and traditional long maturation periods in large Slovenian-oak casks. 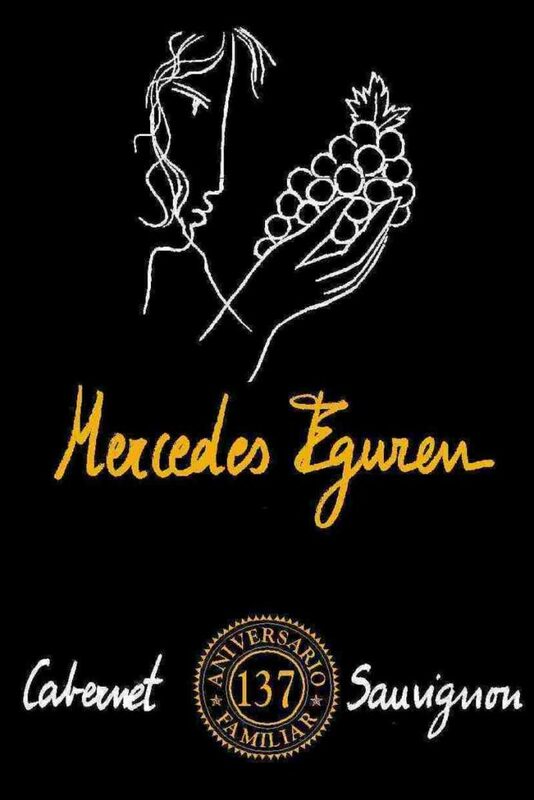 Mercedes Eguren Spanish Cabernet Sauvignon 2013 – This wine was produced from a 30-year-old Cabernet Sauvignon vineyard in the Vino de la Tierra de Castilla appellation (a large swath of land in the region of La Mancha), this Cab has delicious, balanced dark currant fruit, and a subtle influence from a six-month stint in American oak. Winemaker’s Description: Deep ruby red in the glass. Flavors of black berries, blueberries and red currants mix intensive with notes of black pepper, tobacco, toffee and precious woods. At the palate balanced, silky and voluminous. Gentle tannins providing a long, lasting aromatic, rich finish. Nebbiolo is the grape variety behind the top-quality red wines of Piedmont, northwestern Italy, the most notable of which are Barolo and Barbaresco. Wines from just outside the borders of Barolo and Barbaresco may be classified as Langhe Nebbiolo, as well as, wines from young vines, less favored plots, within these two famous appellations. The high-quality red wines of Roero, just across the Tanaro river from Barolo, are further affordable alternatives to Barolo and Barbaresco. Whole cluster: This can refer to whole cluster pressing and/or whole cluster fermentation, where pressing and/or fermentation happen without the stems having been removed from the berries. Exciting Summer wines to wake up your palate! Ferry Lacombe Mira Rose 2017 – This is a jewel in the heart of Provence: between the Mount Sainte-Victoire and the Aurélien hills, between Aix-en-Provence and Saint-Maximin. The Ferry family moved here in 1442, accompanying Le Bon Roi René to Aix-en-Provence. They would stay here until 1820. Jumping forward in history… Château Ferry Lacombe came into the winery with a new owner, the Family Pinot, and a single ambition: to produce exceptional wines from a remarkable terroir. Winemaker Notes: Mira Rose 2017 is a soft pink-rose color, with light raspberry nuances. The nose is fruity, with strong red berry aromas. The palate starts with red berry and crushed strawberry. The palate is round and fresh with citrus notes and deliciously fruity notes that “recall the sweets of childhood.” This wine is ideally served with white meats, such as chicken or pork, grilled fish and mixed salads. Casa Lapostolle Sauvignon Blanc – Lapostolle Wines was founded by Alexandra Marnier Lapostolle and her husband Cyril de Bournet in 1994. Alexandra is a member of the renowned family that has been dedicated for several generations to the production of high-quality spirits (Owners and Creators of Grand Marnier) and wines. The Grapes: 85% Sauvignon Blanc, 8% Semillón and 7% of Sauvignon Gris. Tasting: Color: Pale yellow with green edges. Nose: Very expressive with aromas of fresh herbs and cucumber, white fruit such as pears along with floral notes. Taste: Balance and fresh mid palate with good volume and a long lasting finish. Service and food matching: Perfect for an aperitif, clams with cheese, lemon and coriander and jam and melon salad. Marqués de Griñón, Vinos de Madrid Garnacha Tintorera El Rincón 2015 – Marqués de Griñón wines are sourced from the prized Dominio de Valdepusa vineyard in Castilla-La Mancha. Valdepusa stands apart from the rest of the region, as its 1068-foot elevation is one of the highest in Spain, and its top layer of soil is similar to Burgundy’s — it is almost pure limestone. 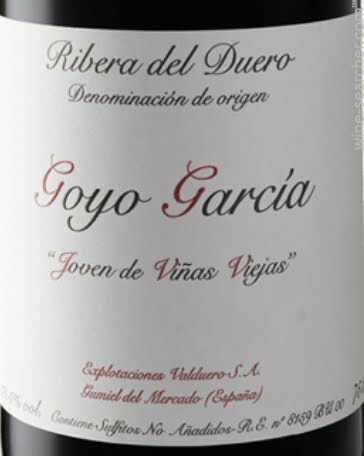 This wine is produced from a blend of Syrah and Garnacha from the El Rincón estate vineyard. Tasting Notes – Deep ruby-red in color, and marked by expressive notes of ripe plums, violets, and spice. On the palate, it shows outstanding balance and complexity with plenty of ripe fruit, backed up with firm but soft tannins. Marqués de Griñón, Dominio de Valdepusa Caliza 2011 – “Caliza” means limestone in Spanish, used in naming this wine so as to pay homage to the unique soil profile at this Dominio de Valdepusa estate. The moderate layer of clay topsoil over rocky limestone leads to elegantly structured wines. Caliza is a blend of Syrah and Petit Verdot which are fermented in stainless steel followed by one year in second and third passage French oak. Taste Profile: Deep purple in color with ruby reflections, this wine shows alluring notes of lush raspberries and ripe black cherries with undertones of cinnamon, coffee, and minerality. On the palate, it is beautifully full-bodied and silky with refreshing acidity and flavors that unfold into the long-lasting finish. Four more extremely lovely wines for you this weekend! 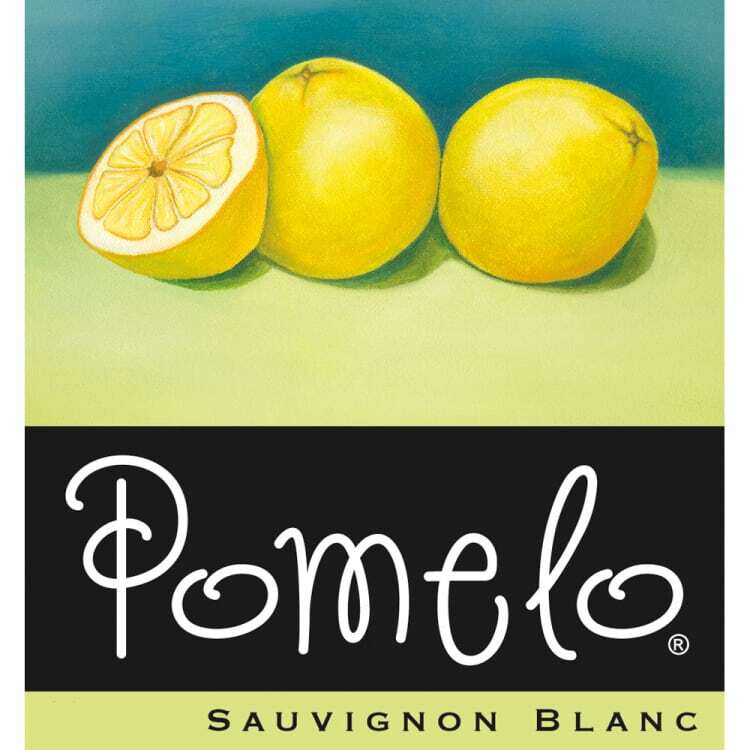 Pomelo Sauvignon Blanc – Primarily sourced from Lake County, Pomelo’s characteristic grapefruit profile is consistently found in our blocks situated on the Kelseyville bench. With an elevation of nearly 1300’, the growing season is long, with ample hours of sunshine and great diurnal temperature fluctuations- all responsible for the explosive flavors found in Pomelo. We also source a small percentage from an old, established block in Lodi- amazing balance and texture, the Sauvignon Blanc sourced from this region is grapefruit pith with a weightiness contributing to the mid-palette. 100% Sauvignon Blanc, fermented in all stainless steel tanks; extremely long and cold ferment allows for the fragrant and big fruit flavors to be appreciated. The crisp acidity is retained and then rounded out and complimented by a broadened mouth and ever-slight sweetness. 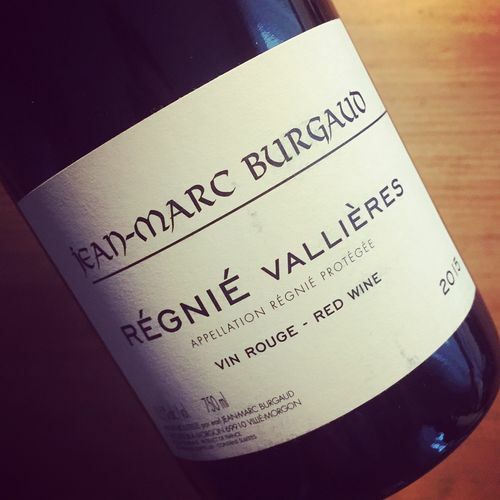 Jean Marc Burgaud Régnié Valliéres Beaujolais – Jean-Marc Burgaud created this domaine in 1989. From 19 hectares (47 acres), he produces wines from Beaujolais Villages and Régnié, but most of his production (13 hectares) is in Morgon. David Schildknecht, of the Wine Advocate, wrote in 2009 that, Jean-Marc is “as usual brimming with ideas about how he is going to make what are among his region’s handful of most exciting wines even better among the most successful wines of its ubiquitous appellation, not to mention a fine value.” Grown in a sandy and stony soil, the young Beaujolais Cru Regnie (created in 1988) is characterized by its fruitiness, suppleness (fine and light tannin) and its roundness. We refer to it as feminine and cheerful. Envínate Lousas Viñas de Aldea – Envínate (“wine yourself”) is the brainchild of Laura Ramos, Jose Martínez, Roberto Santana and Alfonso Torrente, four friends who met while studying winegrowing at the University of Miguel Hernández in Alicante, Spain. Their work is currently focused on exploring the ancient, Atlantic-infused terruños of Ribeira Sacra and the Canary Islands, as well as exceptional vineyard plots across the Iberian Peninsula. The Envínate philosophy is simple: let each parcela, or single parcel, fully express itself in the finished wine by utilizing old-fashioned farming and winemaking methods. The results are some of the most exciting wines being produced in Spain today! Lousa is the name for the dominant slate soil Ribeira Sacra region. The slate serves a great purpose, heating up during the daytime sun to help the grapes ripen, as well as imparting the mineral and intensely floral and spicy aromatics that are the trademarks the region’s wines. Aldea means “village” in the Galician dialect. In addition to focusing on single parcel wines, Envínate produces village wines in each region where they work. These Mencía grapes are fermented 100% whole cluster with wild yeasts in open top plastic tubs, then rested in used French oak for 11 months. Château du Petit Thouars, Loire, France Rosé 2017 – The region of the Loire is particularly famous for its wine production, historians believe that the Romans were the first to plant vines here in the 1st Century AD and the practice certainly caught on. The Loire is also famous for its chateaux – an area favored by Kings for centuries in what is called the Garden of France. The Chateaux has been in the family since 1634! The Thouars family has a long history of adventure and accomplishment. The family lineage was involved in the American and French Revolutions with family members dying during Napoleon Bonaparte’s campaign in Egypt. The current generation has revived yet another family tradition by restoring the estate’s vineyards. Over 15 hectares produce complex reds and refreshing sparkling wines, and new vines will soon be producing fine whites as well. The reds and roses are 100% Cabernet Franc! Matteo Correggia, Roero Nebbiolo 2015 – Roero has traditionally been overshadowed in the Langhe region of Piedmont by its two famous neighbors, Barolo and Barbaresco. It was seen as a reliable source of fruit for lower offerings of Nebbiolo and the home of a quirky yet interesting white variety, Arneis. Matteo Correggia rejected this stigma and almost single handedly elevated Roero wines to Italy’s highest standard, DOCG. His estate, now run by his widow, Ornella, remains the reference standard and most beloved winery in the Roero region and beyond that is one of Italy’s finest producers. Nebbiolo is an important variety in Roero and the perfumed notes from its lighter sandy soils have long been favored by Barolo producers for their Nebbiolo d’Alba. Correggia’s Roero makes the most of the region’s top sites to present a wine that is typical of the variety but also more approachable and enjoyable on release. The wine has all of the floral aromatics, ripe red fruit and brisk acidity without the iron clad tannins of its more famous neighbors. This wine is ideal with the rich Piemontese cuisine and is a great foil for the truffles of the region. 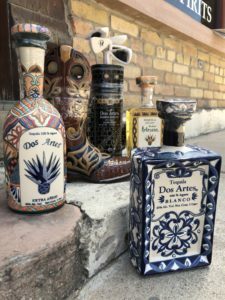 FRIDAY~Meet the passionate owners of Dos Artes Tequila! 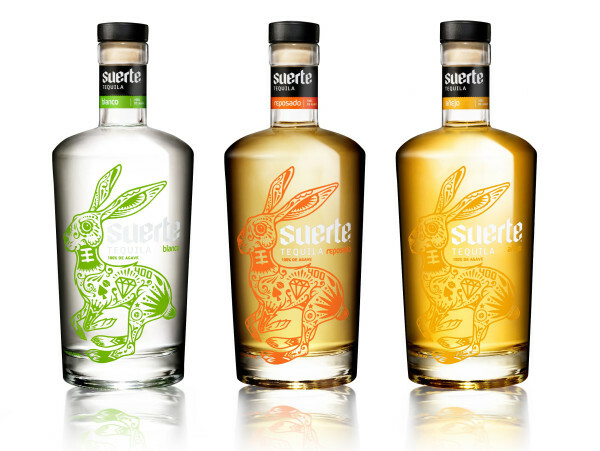 Learn how these beautiful tequilas are created; how the hand-painted bottles and made…and just how amazing tequila can be! SATURDAY~If you miss Friday; don’t dispair! We’re STILL tasting Dos Artes on Saturday night. See YOU this weekend..and Happy Fathers’ Day! 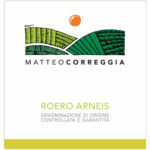 Correggia Roero Arneis – For this time of year a fresh, lively, fruit generous Arneis rocks our world! Last year, our Cooper Comrades wiped us out of this wine in one weekend so this year I bought more, but when it’s gone, it’s gone. 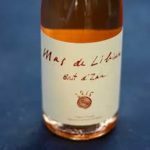 Mas Libian Bout D’Zan Cotes du Rhone Rose – This is our favorite Rose from the Cote du Rhone and my Cooper Comrades obviously feel the same because last year we sold 5 cases in 6 days! This year we preordered 20 cases from France, but Colorado only received 40 cases, but here’s the good news – the wholesaler allocated CW&S 13 of the 40 cases! Via Revolucionaria, Bonarda Pura – These wines are extremely low production and are drawn from multiple inspirations, regions, and styles. 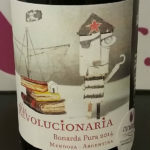 The Via Revolucionaria wines are all low production, single vineyard, unconventional wines, fermented with native yeast. 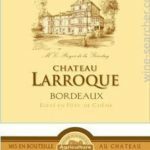 Larroque 2010 Bordeaux (Left Bank) – We tasted this wine and this vintage, 2010, about nine months ago and it is amazing how this wine has developed since that time. A wholesaler had us taste this wine again this week, and it is drinking perfect right now!